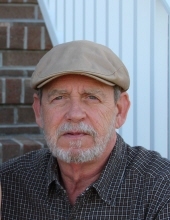 David Ralph Keene, age 64, of Pounding Mill, VA passed away Tuesday, January 15, 2019 at his home. He was born January 30, 1954 in Richlands, VA. He had a long time career in the coal and natural gas industry. He enjoyed the outdoors, fishing, and was a prolific gardener. He greatly enjoyed spending time with his grandchildren and was affectionately called Papa. He was preceded in death by his mother, Geneva Keene and his wife, Tamara Keene. David is survived by his father, David Carl Keene of Pilgrims Knob, VA; one daughter, Samantha Keene Taylor and husband Michael of Norfolk, VA; one son, Adam Keene and wife Natasha of Wytheville, VA; two grandchildren, Hunter and Layla Keene; two sisters, Linda Compton and husband Thurman of Pilgrims Knob, VA and Brenda Keene of Cedar Bluff, VA; mother-in-law, Loraine Johnson of Richlands, VA; sister-in-law, Gina Wysock and husband Glenn of Winterhaven, FL; several nieces and nephews also survive. The family will receive friends from 6 – 9 p.m. Thursday, January 17, 2019 at Singleton Funeral Service in Cedar Bluff, VA.
Funeral Services will be conducted at 1 p.m. Friday, January 18, 2019 at Gethsemane Baptist Church in Richlands, VA with Evangelist Bob Smith officiating. Entombment will follow in Greenhills Memory Gardens Mausoleum at Claypool Hill, VA. Family and friends will serve as pallbearers. The family of David Ralph Keene is in the care of Singleton Funeral Service in Cedar Bluff, VA.
To send flowers or a remembrance gift to the family of David Ralph Keene, please visit our Tribute Store. "Email Address" would like to share the life celebration of David Ralph Keene. Click on the "link" to go to share a favorite memory or leave a condolence message for the family.